Delicatessens or delis have become so embedded in people’s culture that they are often unnoticed. However, the quality of a deli can make or break your whole food experience – they are your primary source of snacks, meat, and catering services after all. What separates a great deli from the rest? How can you tell if the deli you are going to will have all the best choices and the best menu when compared to the dozens you may have also passed on the road? There are delis and then there are delis, or so the saying goes. There are general delis that simply offer different cuts of fresh meat and also offer a few sandwiches on the side but if you want a real deli then you’d need to find one that knows what it is and stands up proud to that fact. Most delis will focus one of three different cultures – Jewish delis, Italian delis, and Polish delis. Mediterranean delis are also quite common from place to place, depending on their specialties. The best delis will focus primarily on just one of these. When you walk into an Italian deli you’ll know it from the moment you see their sausages and hams. You shouldn’t have to read their menu or special food items to know what kind of deli they are – right from the get-go they should let their customers know. This focus on a particular cuisine allows the establishment to become a go-to specialty instead of a “Jack of all trades but master of none” sort of deal. Some people don’t use the word deli unless they are referring to shops selling fresh cut meats of all sorts, from sausages to hams and more. However, in the United States the word deli is now often sliced and diced to mean any fresh cut shop in any grocery store. This is why there are even deli restaurants. However, the main defining features are the fresh cut meats – not the sandwiches, not the subway meals, or anything similar. Unless you can buy the best fresh cut of beef brisket or the freshest ground meat for spaghetti then it isn’t really a deli. 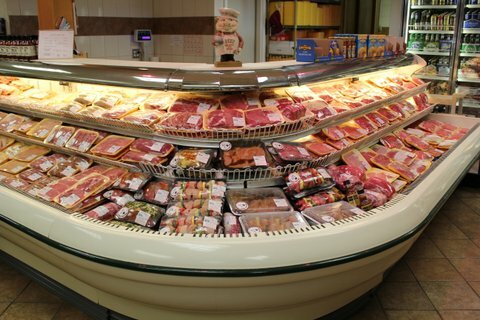 When you walk into a great deli you’ll know it just by the sight of all these different kinds of meat. When you walk out of the deli you should have everything you need for meat sandwiches, for backyard grills, for Christmas dinner, for spaghetti, and more. A great deli is a one-stop meat shop. It’s just a bonus when they have everything else such as great cream cheese and bread. Most delis in the United States are bound to sell packaged, branded products. That’s not a negative aspect – after all, the delis over at Walmart, Publix, Whole Foods, and others have become some of the country’s most favorite simply because they sell what people know and trust. However, the great delis – even those just mentioned – are bound to sell homemade products as well. Even Walmart sells a particular kind of meat or sandwich that can only be purchased at that store and nowhere else on the planet. 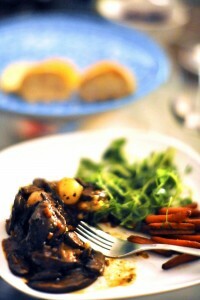 Homemade products guarantee you are getting not only fresh but also unique dishes. This doesn’t go for their fresh produce either – it also applies to the food they serve on their menu. Some delis are also restaurants so those homemade platters can really go a long way in defining the quality of the establishment. 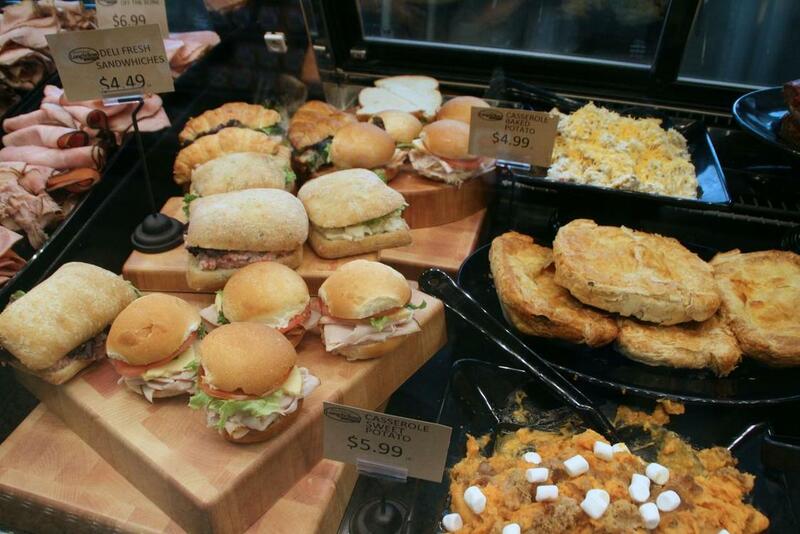 What separates a deli from a sandwich shop is the quality of the ingredients used. Go to any sandwich shop and open their sandwiches. You’ll discover they use regular bread with regular tomatoes and meat, mostly ingredients you can get for cheap at any grocery store. 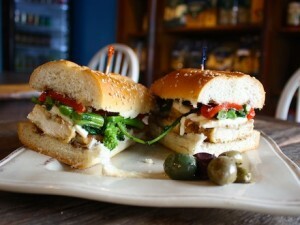 A deli, on the other hand, uses special ingredients that are fresh and intricately cut. You should be able to tell the difference in meat and veggie quality the moment you bite down on their sandwiches. Most of the best delis craft their meals right in front of you, ensuring you see firsthand that they only use the freshest ingredients possible. One good way to tell if you’ve walked into a good deli is the sound. You should hear knives busy at work instead of silence. When the chopping board is always busy then you’ve probably walked into the right establishment. Not all corner delis are bad and not all fancy delis in the supermarket are great. Sometimes even the smallest establishment can serve the best meat, the best bread, and the best delicacies. Just take your time and check what each establishment has to offer. Whether it’s a Schnucks or a Kroger, a corner deli or a neighborhood shop, a great deli takes time to bring out its true colors. Look around at what’s hanging, where the meat comes from, and how the food is prepared before you call your final judgment.